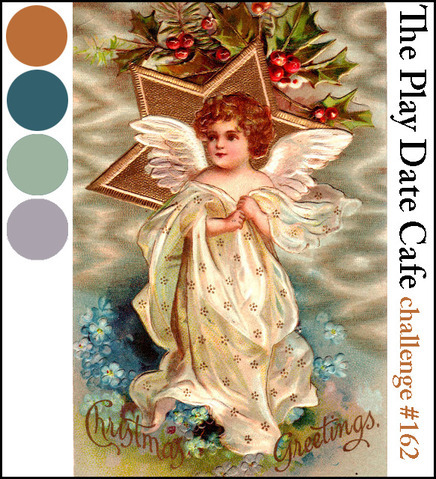 Welcome to another color challenge at The Play Date Cafe. 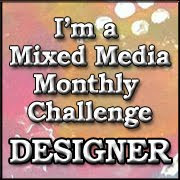 It's our last one of the year and it's a 2 week challenge so you will have plenty of time to play! The colors this week are Gold, Teal, Mint Green and Lavender. I hope you will be able to join us. These colors are beautiful and I can't wait to see what you come up with. 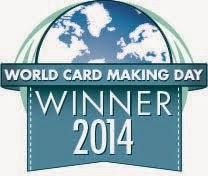 Our sponsor this week is Jenni Bowlin who graciously provided the design team with stamps. 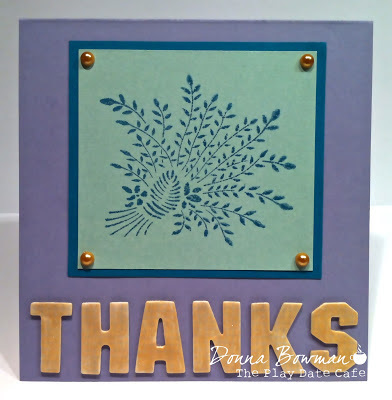 I used the wheat flower stamp. I stamped using Stampin' Up Island Indigo ink on American Crafts mint green paper. I matted the stamped image with Island Indigo and used Wisteria Wonder for the card base. 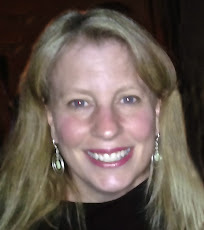 The letters are Jenni Bowlin Alterable Alphas - Graph. I covered each letter with Perfect Pearl medium and then covered them with Perfect Pearls in Perfect Gold. The gold rhinestones are from Queen and Co. Thanks for stopping by and I look forward to seeing your creations!! Be sure to go to The Play Date Cafe blog to check out the prize offered by our sponsor Jenni Bowlin. 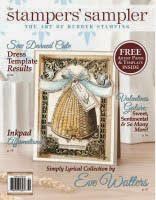 And don't forget to check out the Jenni Bowlin online store where you can see all their awesome cardmaking and scrapbook supplies! Such a glamorous design Donna! Love how you added the gold pearls to the corners! Hi Donna, just like old times:):) glad you enjoyed the stamps!!! Love your card, I couldn't wait to see what you girls came up with. awesome!! Love your design, and these would be a tough color combo for me to use! You did a great job!